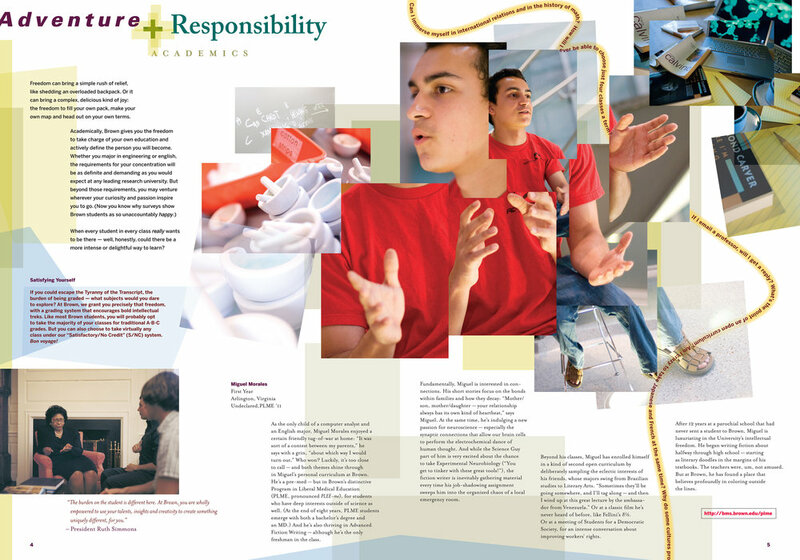 Brown Admission’s publication to reach out to high school juniors and seniors. An overview of the areas of study and an overview of the campus. Aerial and location photography by Jim Dow. Establishing the them of the experience at Brown University where you put it together from defining your major to building your life. Questioning runs through the education and life experience at Brown. 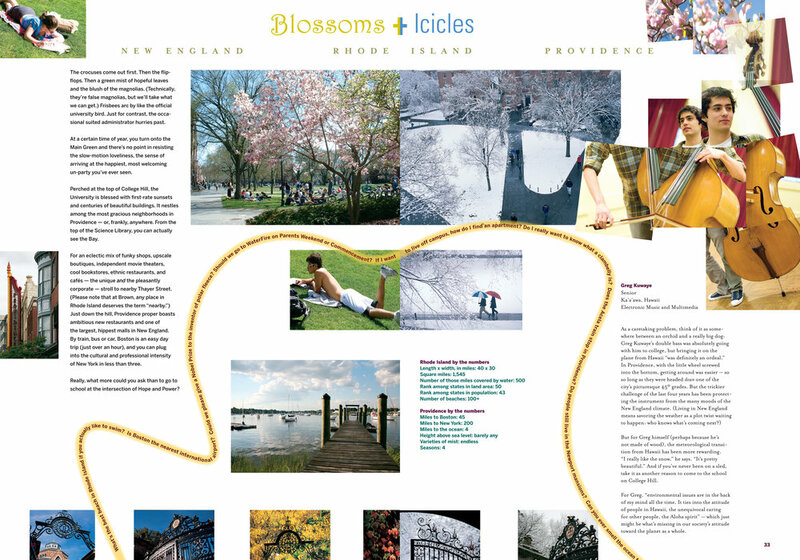 A thread of questions runs through the viewbook. 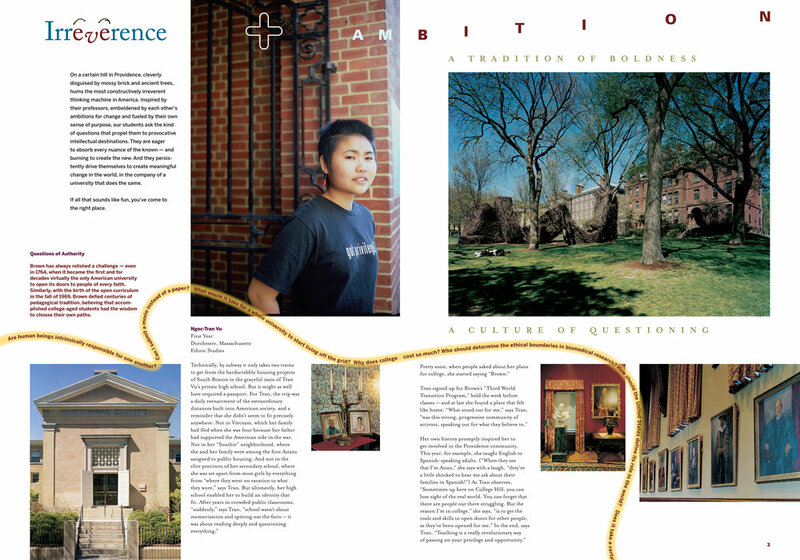 Students at Brown are multifaceted in their studies, interests, and activities. The recurring cubist approach to the student profiles — borrowing from David Hockney’s photo collages — expresses the multiple points of view and areas of study as well extra curicular activities.